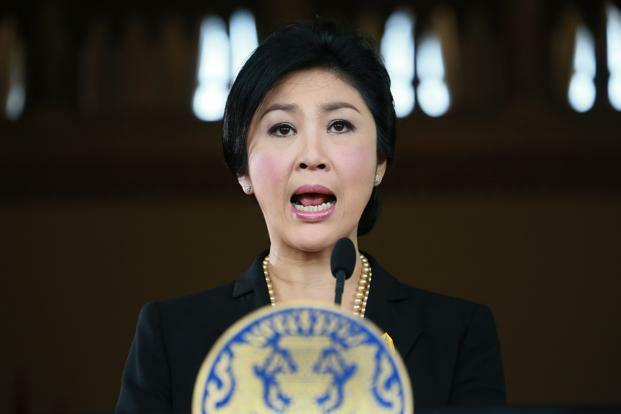 Thailand’s PM Yingluck Shinawatra has rejected protesters’ demands that she step down, amid ongoing clashes in Bangkok. Yingluck Shinawatra said the demands were not possible under the constitution, but that she remained open to talks. More clashes broke out on Monday as protesters tried to storm the prime minister’s office, Government House. Four people have died in Thailand’s worst political turmoil since the 2010 rallies that ended in violence. “Anything I can do to make people happy, I am willing to do… but as prime minister, what I can do must be under the constitution,” Yingluck Shinawatra said in a televised address. Anti-government demonstrators have been calling on Yingluck Shinawatra to step down, with protest leader and former opposition politician Suthep Thaugsuban saying on Sunday that Yingluck Shinawatra should resign within the next “two days”. The protesters want to replace the government with an unelected “People’s Council”, alleging Yingluck Shinawatra’s government is controlled by her brother, ousted leader Thaksin Shinawatra. The protests, which began on November 24, had been largely peaceful until Saturday, when they became violent. Over the weekend demonstrators tried to break apart police barricades and storm the prime minister’s office, with police using tear gas and water cannons to repel them. On Monday, protesters returned to the streets again and more clashes occurred, although correspondents said that demonstrator numbers appeared lower than before. Yingluck Shinawatra has said that she would not authorize the use of force against protesters. “The military has positioned itself as neutral and it wants to see a peaceful way out,” Yingluck Shinawatra added in Monday’s address.